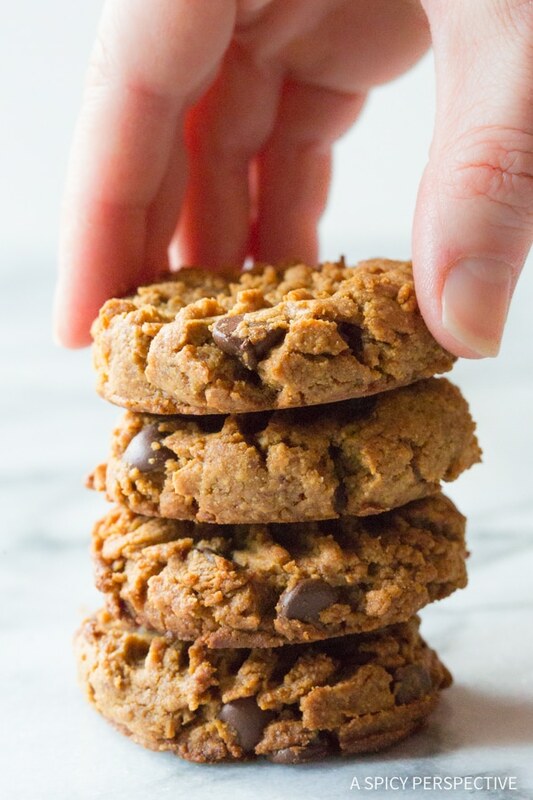 Magic 4-Ingredient Chocolate Chip Cookies, a healthier version of your favorite classic cookie recipe. When you’re trying to eat heathy, cookies can be a really difficult thing to purge from your lifestyle. After all, cookies make us happy. You can’t munch on a carrot stick with the same zeal as you would a soft decadent cookie. I’ve been playing around with health-ified cookies this season. Cookies made with alternative flours and sweeteners, so they are lower in carbs and processed ingredients. 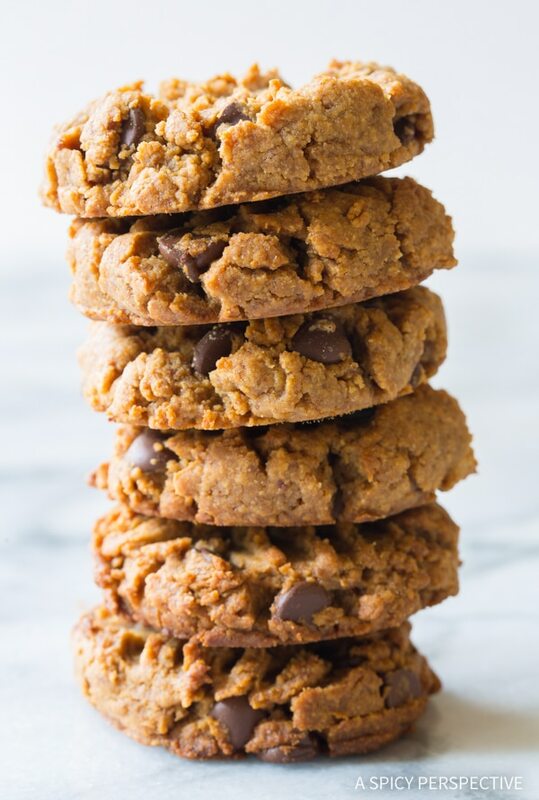 At some point I discovered you don’t actually have to use any flour at all, to make a rich tender chocolate chip cookie… You just have to appreciate nut butter. Today’s Magic 4-Ingredient Chocolate Chip Cookies are healthier than traditional cookies, yet just as satisfying. Made without flour of any kind, they are gluten free and grain free for those with specific dietary needs. Using zero flour also means Magic 4-Ingredient Chocolate Chip Cookies are way lower in carbs than classic cookies. 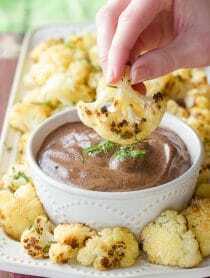 I used raw coconut palm sugar to reduce chemicals from processed white sugar, and well as ultra dark chocolate chips, to reduce sugar and boost the chocolatey appeal. You can use any type of natural nut butter you like… Peanut butter, almond butter, cashew butter, even sunflower seed butter. 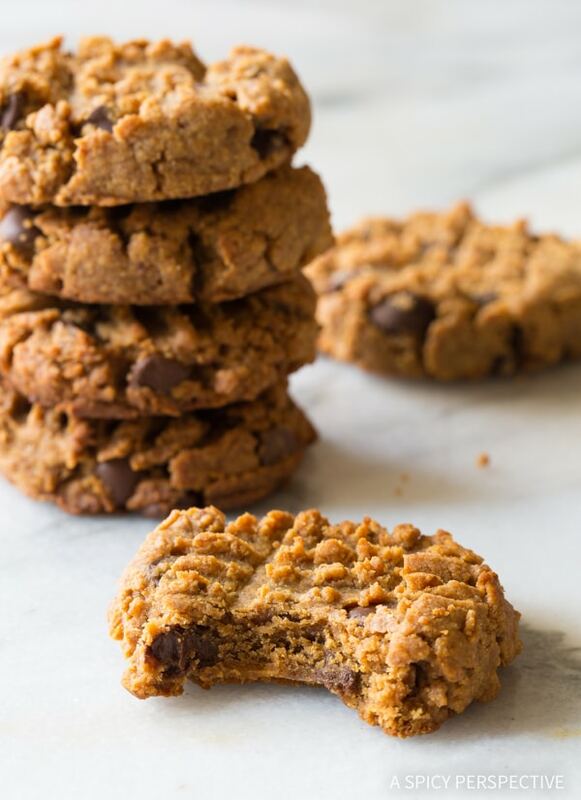 If you skip the peanut butter, these Magic 4-Ingredient Chocolate Chip Cookies are paleo-friendly as well! 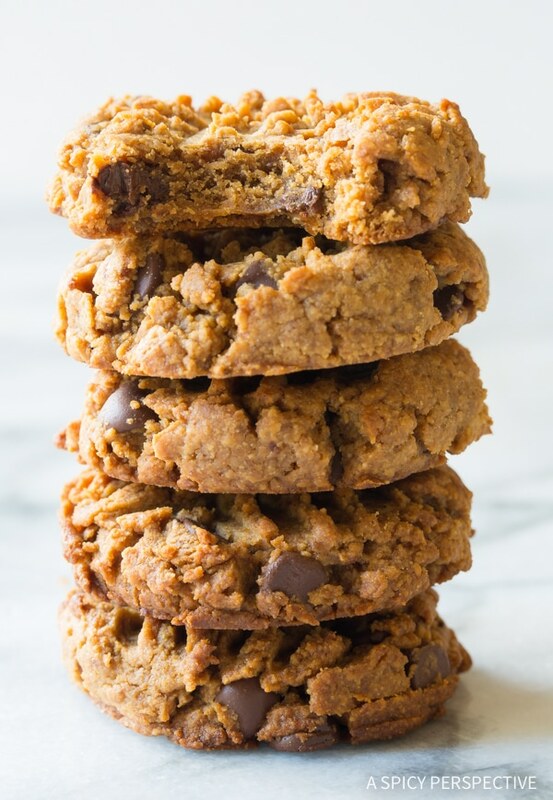 Magically, the nut butter, sugar, and eggs bind themselves together making a wonderful cookie base. Require very little clean up. 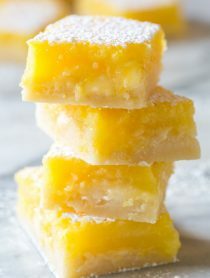 And are a great freezer treat! If you find you can’t keep your hands out of the cookie jar, freeze the entire batch. Then when you need a treat, pull just one or two cookies out at a time and let them thaw. Magic 4-Ingredient Chocolate Chip Cookies are certainly not the prettiest cookie I’ve ever made, but they are a top 3 go-to in my family. With so many amazing reasons to make Magic 4-Ingredient Chocolate Chip Cookies, why are you still sitting here? Check out out video tutorial below! Low Carb cookies at their finest! These easy to make Magic 4-Ingredient Chocolate Chip Cookies are so rich and tasty, yet great for low carb diets. 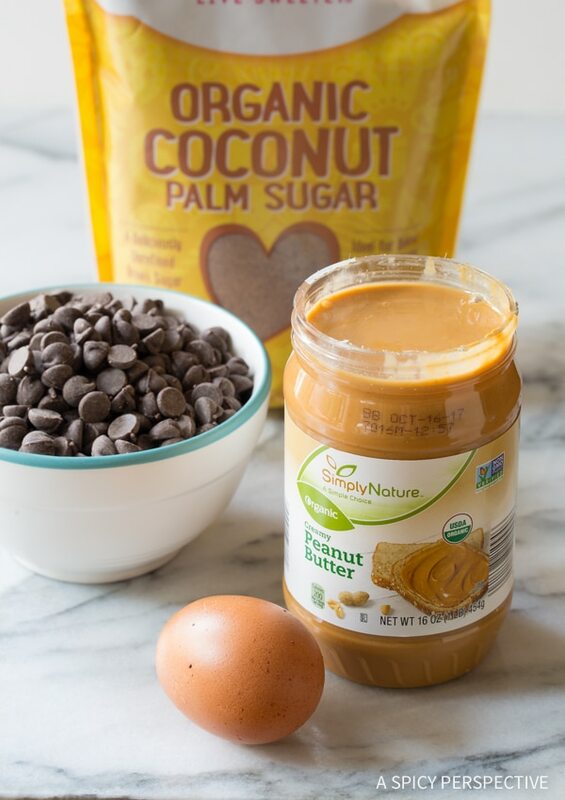 Scoop the nut butter, palm sugar, and eggs into the bowl of an electric mixer and beat until smooth. Scrape the bowl and beat again. 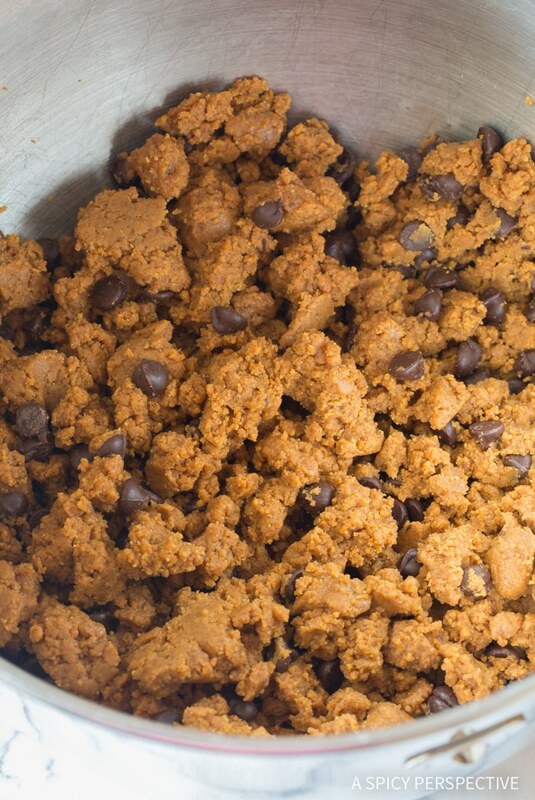 Then slowly mix in the chocolate chips. 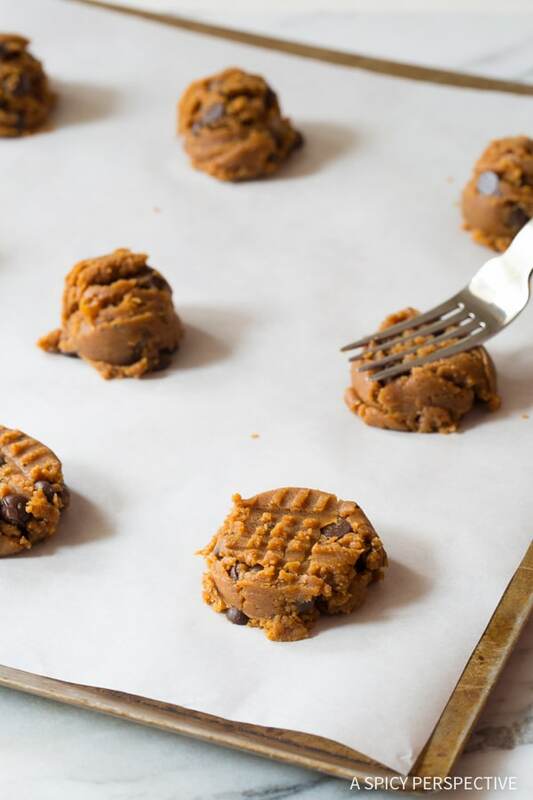 Using a 1 1/2 tablespoon cookie scoop, portion the dough out onto the baking sheet. You can place them fairly close together because they will not expand. Use a fork to press the tops down to about 1/2 inch thick. Bake for 10-12 minutes. 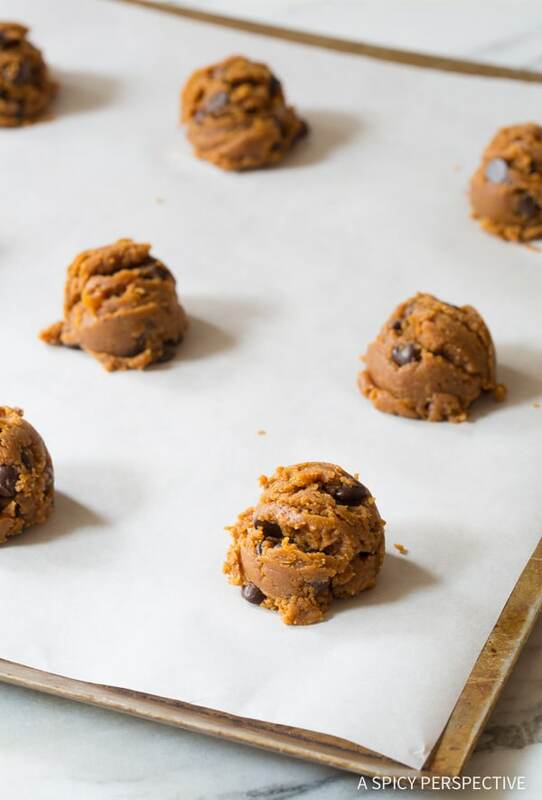 Allow the cookies to cool completely on the baking sheets. They are too soft to pick up until cooled. Store in an airtight container for up to 2 weeks. Need a way to keep your hands out of the cookie jar? These cookies freeze well, so you can pull out 1-2 at a time and let them thaw. I do keto lifestyle and would not use coconut palm sugar. Could I yse swerve or monk fruit granulated in its place? I’m not sure, but it’s definitely worth a try. If you use it in equal portions, it should work. Happy Baking! what is natural nut butter and also palm sugar? Natural nut butter is usually made without processed sugar or additives. You can use natural peanut, almond, or cashew butter. Palm sugar is made from coconut palms, and it is much more natural than traditional white sugar. I plugged the recipe into my recipe maker using Myfitnesspal.com. I modified it, as I have only regular Jif peanut butter, so reduced the sugar by half a cup. Based upon 30 cookies, the carb count is 15g per cookie. That’s with 1g fiber and 11g sugars. Low carb means I can have a few extra cookies right! OH MY GOD!!! these look so good- I love how simple they are! 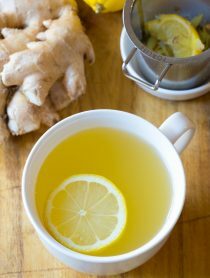 Only 4 ingredients AND low carb? Really is magic!